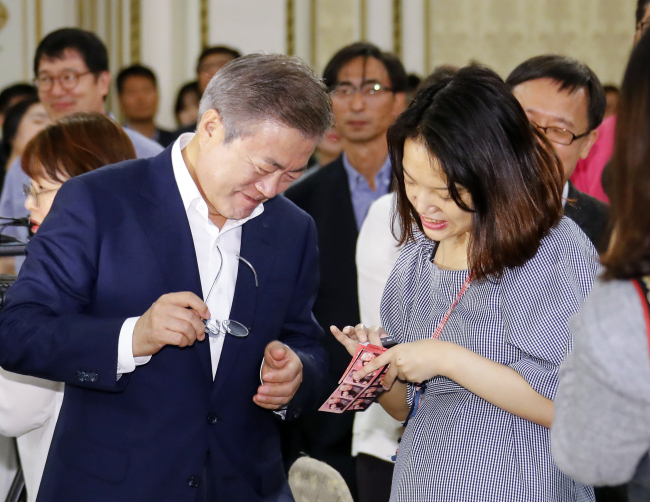 President Moon Jae-in on Wednesday promised to continue expanding government support for people with developmental disabilities as part of efforts to build what he calls an inclusive nation. "People with developmental disabilities face much more difficulties than those with other disabilities. Their parents too face many difficulties in raising them," the president said in a meeting with some 160 people, including people with developmental disabilities and their families. The meeting, held at the presidential office Cheong Wa Dae, also involved top government officials, including the minister of health and welfare who unveiled a set of measures aimed at supporting the people with such disabilities. The measures include the establishment of 60 new day care centers for children with physical and mental disabilities by 2022. Also, the government will expand the number of schools for students with disabilities to 197 by 2022 from the current 174 while also expanding the number of special classes for such students to 11,575 from the current 10,325 over the same period. 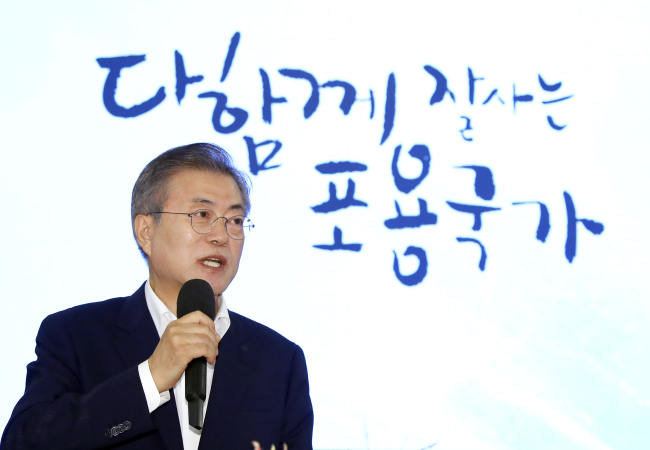 "That is still far from enough," Moon told the meeting, according to Cheong Wa Dae pool reports.